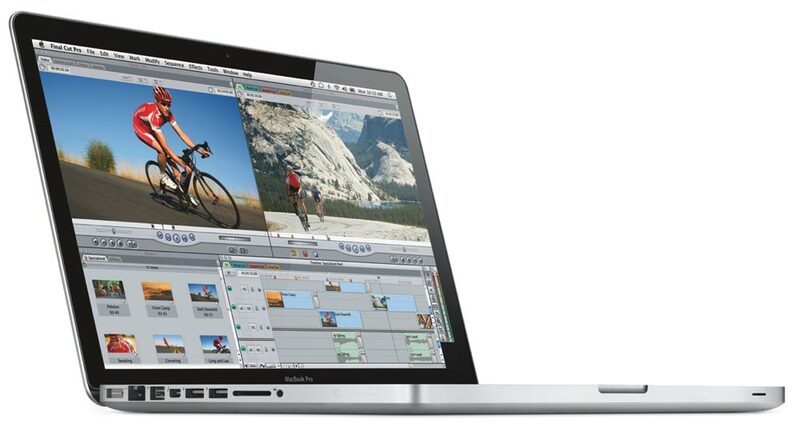 The 13″ Unibody Macbook Pro (A1278) features a 2.5GHz Intel Core i5 processor. It comes as standard with 4GB 1600Mhz RAM and 500GB hard drive. It has a built-in battery rated at 7 hours that lasts for 1000 charge cycles, which is two to five times the life of the average laptop battery. The keyboard is backlit and auto-senses low light conditions. It features an SD card slot for quick editing and sharing of your photos and video while on the go. Ports include two USB 3.0 ports and one Firewire 800 port. Our refurbished Macs are incredibly popular, and with good reason. We always try to keep our website updated with the latest specifications, but for up-to-date information about what models we have in stock, please contact one of our stores where one of our staff will gladly answer any questions you have. Introducing the 13-inch MacBook Pro. The state-of-the-art dual-core Intel i5 processor delivers up to 2x faster performance (over the previous generation of MacBook Pro). New Thunderbolt technology lets you connect high-performance peripherals and high-resolution displays to a single port, and transfer files at lightning speeds. And with the new built-in FaceTime HD camera, you can make astonishingly crisp HD video calls. With the revolutionary Thunderbolt technology, you’ll be able to achieve bi-directional channels with transfer speeds to peripherals like external hard drives and servers up to an amazing 10 Gbps. The port also doubles as a DisplayPort for connecting to a compatible high-resolution display. These devices can also be daisy chained to allow multiple peripherals to be connected to one MacBook Pro at once. 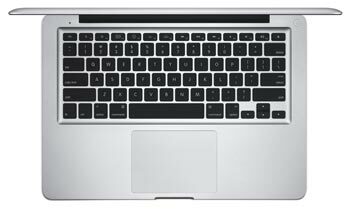 As with previous models, the MacBook Pro features a precision unibody enclosure crafted from a single block of aluminum, creating a mobile computing workhorse that’s also highly durable. And it includes a 13.3-inch, LED-backlit glass display as well as a glass trackpad that has buttons integrated into it (for larger tracking area) and features Apple’s Multi-Touch technology. You’ll also get up to 7 hours of battery life while on the go. This version of the 13.3-inch MacBook Pro features a 2.5 GHz Core i5 “Ivy Bridge” dual-core processor, 500GB hard drive, and 4 GB of installed RAM. Other features include integrated Intel HD Graphics, fast Wireless-N Wi-Fi networking, Bluetooth 4.0 connectivity, an SDXC card slot, two USB 3.0 ports, and a FireWire 800 port. It also comes with the lastest Mac OS packed with new features such as Continutity, iCloud Drive and Apple’s brand new and much-improved Photos app. Built into the MacBook Pro, the Thunderbolt port allows you to connect to new Thunderbolt-compatible peripherals as well as existing USB and FireWire peripherals using simple adapters. You’ll be able to move data up to 20 times faster than with USB 2.0 and more than 12 times faster than with FireWire 800, and you can daisy-chain multiple high-speed devices without using a hub. This MacBook Pro is powered by an Intel Core i5 dual-core processor, which provides breakthrough digital media management, content creation, and 3D gaming capabilities. With updated Intel Turbo Boost Technology 2.0, the Core i5 increases speed automatically for whatever you’re doing, dynamically accelerating performance to match your workload. With new microarchitecture, the graphics processor resides on the same chip as the central processor and has direct access to the 3 MB of shared L3 cache–helping your applications run at peak performance. And an integrated video encoder enables HD video calls with FaceTime, while an efficient decoder gives you long battery life when you’re watching DVDs or iTunes movies. In addition to requiring less fans for cooling, it’s actually significantly more reliable too. With no button on the glass trackpad, there’s more room to track and click–left, right, centre, and everywhere in between. 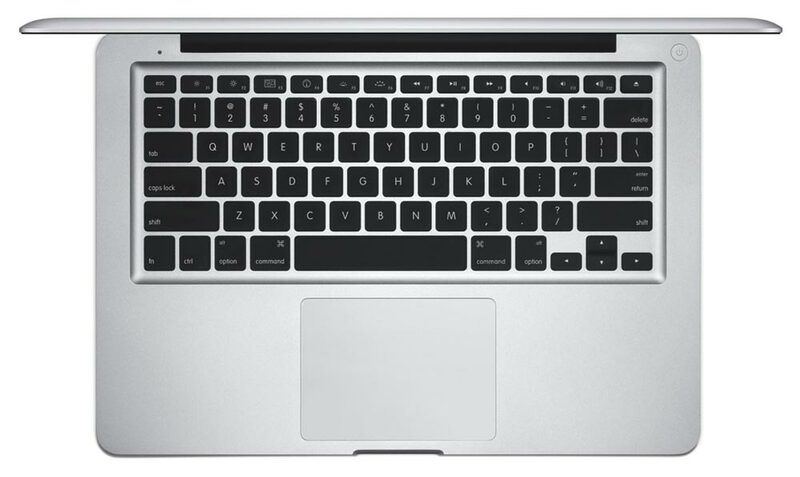 Without a separate button, the trackpad gives your hands plenty of room to move on the large, silky glass surface. It also incorporates Multi-Touch gestures–including swipe, pinch, rotate, and four-finger swipe. And it also now supports inertial scrolling, an intuitive way to scroll through large photo libraries, lengthy documents and long web sites. 2.5 GHz Intel Core i5 dual-core processor with 3 MB shared L3 cache for excellent multitasking. Intel HD Graphics with 384 MB of DDR3 SDRAM shared with main memory.